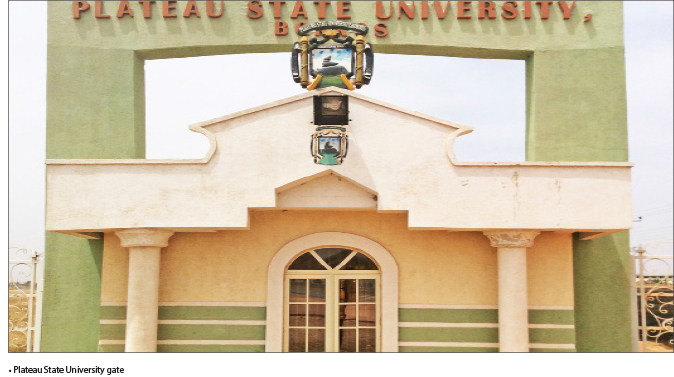 Since the creation of Plateau State University, Bokkos, by former Governor Joshua Dariye in 2005, the institution has been enmeshed in series of unending controversies that have impacted negatively on its physical growth and academic development. Dariye had hurriedly established the institution to ease the pains and struggles of many Plateau students who are denied admission into famous Federal University of Jos for lack of space and inability to meet the JAMB cut-off points. Sadly, the University has operated for 12 years without the accreditation of any of its courses until the appointment of former Chairman of Independent National Electoral Commission (INEC), Prof. Attahiru Jega as Pro-Chancellor and Chairman, Governing Council. Following his efforts, 17 of the university academic programmes were accredited by National Universities Commission (NUC) in March 2016. A statement signed by Secretary to the State Government, Hon. Rufus Bature, which announced the appointment of Prof. Jega, had also reinstated Prof. Doknan Sheni as Vice Chancellor as requested by the National Universities Commission for partial accreditation of academic programmes of the institution. Prof. Sheni, during a pre-convocation briefing, lamented the inability of the university to hold convocation for 12 years after establishment to determine the fate of two sets of graduating students whose hope hung in the balance, until February 4, 2017. He noted that the turbulent times the university has been passing through since its establishment, has caused academic havoc and suspension of academic activities and subsequent closure of the institution in 2007. Of the 344 students graduated by the University, three bagged first class while 300 others had problems with their results and were barred from participating in the convocation. The institution is currently grappling with controversy that has disrupted academic activities since February 2017: the suspension of Chairman and Secretary of the University’s chapter of the Senior Staff Association of Nigeria Universities (SSANU), Mr. Timnan Rimdap and Dusu Sambo Yaro. In the suspension letters, dated January 27, and signed by Mr. Amos Mallo, the university Registrar, indicated that the suspension was for three months during which they would receive half of their basic salaries. Rimdap is the Head of the ICT unit, while Yaro is in the academic planning unit. It was learnt that the unhealthy development was as a result of the inauguration of SSANU chapter of the University by the national body on November 23, 2016 and the subsequent request for members’ check-off dues which did not go down well with the management. The management had in a memo dated January, 10, 2017 demanded to register all unions in the institution to monitor their activities and directed intending unions operating in the institution to forward list of officials, constitution and current membership list, for registration with the University. The unfortunate event caused friction between the union and the management. The unions felt the management was asking them to do things in their own way without considering their constitutional right. Though the three months suspension period has elapsed, the bone of contention is whether full salaries of those officials would be paid or not during the period they were suspended. Moreover, debate is on as to whether the university management has the exclusive right to register and censor activities of unions in the institution. Plateau residents had blamed the underdevelopment of the institution on the state of emergency declared by former President Olusegun Obasanjo in 2004 and the alleged impeachment by six members of the State House of Assembly in 2006, which, some claimed distracted Sen. Dariye from adding tangible infrastructures to the administrative block and the few lecture halls that were constructed for the take-off. Sadly, ex-governor Jonah David Jang, who succeeded Dariye, suspended academic activities in the institution on September 7, 2007, few months after his election and sacked the pioneer Vice Chancellor, Prof. John Wade, while about 400 students were thrown into the streets. Jang hinged his reasons on poor infrastructural facilities and lack of manpower in the university. He described the University as a glorified secondary school which he contemplated relocating to Plateau State Polytechnic, Barkin-Ladi, Jos Campus or alternatively overhauling it. Despite his decision that attracted wide condemnation across the three senatorial districts, Jang had turned a deaf ear to his critics. The hapless students were abandoned for several months before they were later absorbed by the University of Jos and respected tertiary institutions in the state, while some waited endlessly for the reopening of the university. Three years after, Jang couldn’t bear the burden and pressure from civil society organisations and the opposition, who took advantage of suspension of academic activities in the institution to campaign vehemently against his re-election. He quickly reopened the institution in 2010. Since then, the university has been in a disadvantaged position. Former Pro Chancellor, Prof. Daniel Saror had alluded to the fact that the long closure of the institution cost the state government more money to fix and to replace decaying infrastructural facilities. The Governing Council gave the go-ahead to recruit full as well as part time staff and to admit fresh students for a new academic session in September, 2010 while students who were absorbed by the University of Jos were allowed to complete their studies. Those of them waiting for the reopening had to write JAMB for fresh admission. In October, 2014, Jang suspended Prof. Doknan Sheni, the Vice Chancellor over alleged “inappropriate behaviour”. Details of the suspension were not given but investigation revealed that he had a running battle with the then Pro Chancellor, Prof. Sam Ale, who was said to be an in-law to Jang, over the utilisation of the university fund and alleged interference in the university administration. Prof. Sheni was replaced with Prof. Stephen Mallo, as Acting Vice Chancellor until he was sacked by Governor Simon Lalong for illegally occupying the exalted position in 2016.